The boys finished their regular season with a record of 14-8-1. The boys fought hard all season in hopes to make it to the X-Cel Energy Center. The high school boys hockey teams all over the state compete all season long in hopes to make it to the state tournament. However, the boys have an ulterior motive to go to state, and it’s the hair. Hockey wasn’t the only thing on the teams minds; they were also thinking about the hair they were going to bring to the tournament, in hopes to make the all hockey hair team. 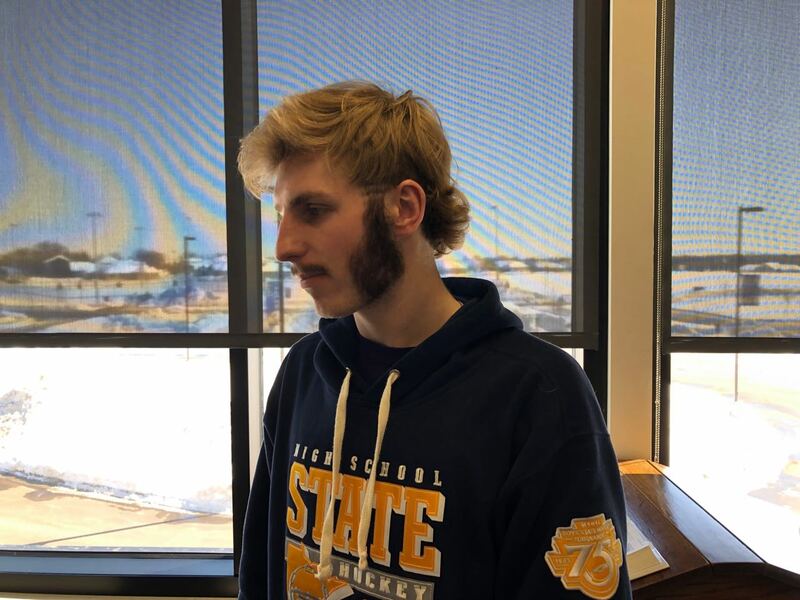 The All Hockey Hair Team is made up of the coolest and craziest hair from the state tournament. The All Hockey Hair Team has been around since 2011, and has become more popular over the years. Minnesota has a strong tradition in high school hockey and when the helmets come off, another display begins: The hockey hair showcase. From mullets to bleached tips, the players in the state championships have a tradition of going all out with their hair. John King’s annual “All Hockey Hair Team” videos on YouTube go viral every year and a spot in the video is almost as good as a trophy. The players skate up to the camera, and show off their flow. It’s always full of mullets, mustaches and other styles that go all out. So what is hockey hair? Well, Hockey Hair is a big part of the game. It shows attitude, dedication, and it’s just plain fun. We asked some of the players what they think about this tradition. Shane Esser said, “It adds fun to the tournament; it’s something to look forward to.” Players get their flows, salads and mullets looking good for a few seconds of fame on the event’s televised introductions. New Ulm was not going to be an exception to this long-lived tradition. The team showed up with an outstanding lineup of hair. The New Ulm boys had everything from mullets, to perms, to facial hair, and of course, just some good old-fashioned flow. Some of the boys even got into the bleach this year to add a little spice to the tournament. Their efforts did not go unnoticed as many of the boys made it onto the “All Hockey Hair Team” video. 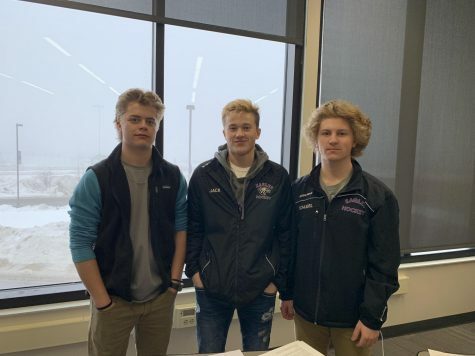 In addition to their recognition in the famous video, they also got some attention from hockey fans on Twitter who were impressed by the hair game that New Ulm brought. The boys may not have won a game in the tournament, but they got a W in hockey hair.